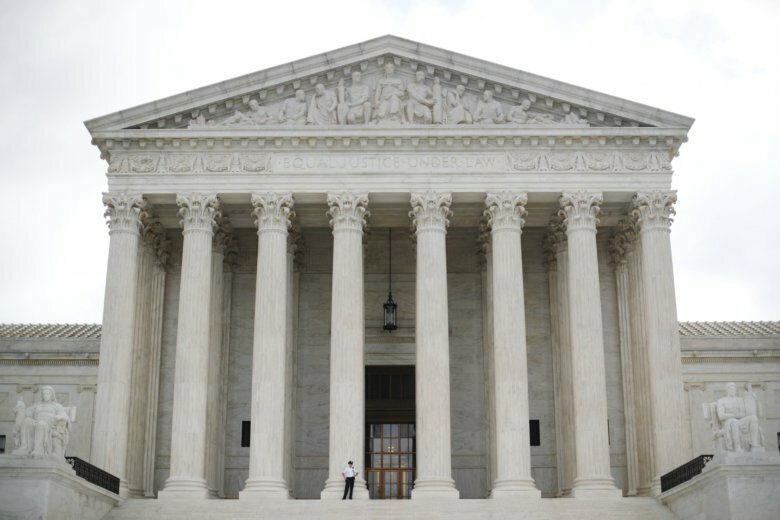 The Supreme Court is wrestling with a case involving the detention of immigrants. The issue in the case the justices heard Wednesday has to do with when federal law gives immigration authorities the ability to hold immigrants without a hearing where they can argue for their release while they try to avoid being deported. It was unclear from arguments how the justices will rule. The case involves mostly long-term green card holders who have been convicted of crimes that make them eligible for deportation. They argue that unless the government puts them in immigration custody immediately after they’ve finished their sentences, they should get hearings where they can argue to be released while their deportation case proceeds. An immigration case before the Supreme Court pits the government against immigrants it wants to deport following crimes they have committed in the United States. The issue in the case the justices are hearing Wednesday has to do with when federal law gives immigration authorities the ability to hold immigrants without a hearing where they can argue for their release while they try to avoid being deported. The case involves mostly long-term green card holders who have been convicted of crimes that make them eligible for deportation. They argue that unless the government puts them in immigration custody immediately after they’ve finished their sentences, they should get hearings where they can argue to be released while their deportation case proceeds.